As we continue highlighting the important topic of accessibility this week, we turn next to Mexico! When Mexico’s Team ReImagine got together to compete in the Imagine Cup, they knew they wanted to do something to help kids. And team member Andrea Villasana’s mother provided some inspiration. Her work with students affected by Attention Deficit Disorder (ADD) helped to convince the team that they had something to contribute to this growing challenge. The result was KIWI, a platform that helps in diagnosing and treating ADD through educational software, taking current psychological therapies and combining them with technology. ADD is a growing problem, making it more difficult for otherwise intelligent students to advance in their education. Diagnoses of ADD increased three percent per year in a recent nine-year period, and current estimates put the impact at between one and five percent of the total population. Children with ADD have a particularly difficult time in traditional classrooms that focus on memorization and paper-based exercises. The team placed first in Mexico’s Imagine Cup and went on to compete in the 2012 finals in Sydney, Australia. “The greatest part of it was to meet so many people with so many different ideas,” the team says. “It was interesting to see how passionate everyone was about improving their society through technology.” The project name, KIWI, originally came from the idea that fruit could be used to represent technology. 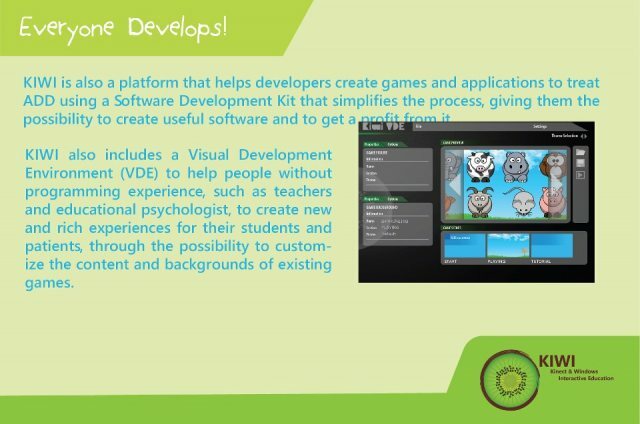 Later, the team realized it was also an acronym of KInect and WIndows – very fitting considering the important role those platforms had in the development and implementation of KIWI. “We were all amazed to see how the platform actually worked with kids,” the team explained. “The first time we tested it, with a five-year old, we first gave him the paper-based treatment, which he couldn’t complete. We then gave him a Windows phone with the KIWI platform to use, and he focused on nothing else.” Interestingly, the kids who participated in the experiment all assumed that the paper exercises were like a test – something they could fail. Conversely, when they got their hands on the KIWI platform, they just assumed they were supposed to have fun. The team hopes to commercialize KIWI in the next year or so, and they’re already well on their way to making a difference for the millions of children with ADD and the families, teachers and health professionals who support them. Enjoy today’s Daily Edventure. By applying our knowledge of technology, and with the support of a great psychologist and interdisciplinary group helping us improve the application, we have been able to provide a fun and effective ADD treatment for kids affected by this condition, enabling them to receive a better education. The idea some psychologists in Mexico have about technological alternatives to treatment has begun changing; they have often been skeptical of these types of treatment. With the KIWI platform, along with other ones, people are beginning to trust technology for health and education purposes. We have been successful because of the interest and passion we have for helping other people, in this case kids. If anyone has a question regarding our work, we can help with the answer and we would be very happy to do so. Our solution is built upon technology. We are delivering a fun, innovative and effective treatment solution using today´s greatest technologies to provide a platform that is also versatile and easy-to-use. One of the biggest problems is the distance between some communities and their local schools. Some communities have the closest school kilometers away and some people don´t have a way of getting there easily. In the city I can’t think of an issue such as this one. Lately they have been rewriting and improving the teaching methods for every education level. That´s a good thing because the educational paradigm must be always be up-to-date to implement the best teaching methods. Poverty. We need to improve our economic standing to get more teachers prepared for primary education and middle school, not to mention college. Sometimes, even people´s state of mind needs to change. We need to become more competitive with ourselves for our own good, not to prove to the guy next to us that we are better, but to overcome our own expectations of ourselves. Everyone has the possibility to be the best at what they do, we just have to want it and work hard for it. I think technology is the best opportunity for innovation in education, with all the free information and ways of demonstrating any idea. Education through technology can really boost learning in ways we have never imagined before. To take advantage of all the tools they have available through teaching methods, technology and their own creativity to improve the students’ learning experience. A trend that is helping might be social networking. For example, it is now easier than ever to ask someone who lives in a particular place how things are going over there. It doesn´t matter if they live next door or on the other side of the world, they are just a few steps away. Definitely a computer with Internet access, and we must teach them how to filter the information they find so that they know what to look for and what to take as true knowledge. I would also give them software to create their own content, so that they express themselves and communicate their own ideas to the rest of the world. We know you can. Sign up to get the Imagine Cup newsletter, talk to us on Facebook and Twitter, and get the latest scoop on the contests and even more ways to win. Get Started and Register today to participate in Imagine Cup 2013! Next travel destination (work or pleasure): Seattle, hopefully for work! When was the last time you laughed? Why? A couple minutes ago while talking to my girlfriend. Your favorite quote or motto: Nobody said it was going to be easy, they just promised it would be worth it. When was the last time you laughed? Why? Yesterday, let’s say I have friends with an amazing sense of humor. Favorite childhood memory: When I was about four-years old, I thought that my favorite cartoon characters lived inside my television. One day I was watching Snow White and the Seven Dwarfs (Disney version), and after the credits there was an explanation about the way cartoons are created. Instead of being disappointed after discovering that characters were not inside my TV, I was really fascinated to know that process and the way many artists work to create those extraordinary movies. I started to love animation since then. When was the last time you laughed? Why? A moment ago, talking on the phone with my best friend and remembering some of our best moments together in high school. 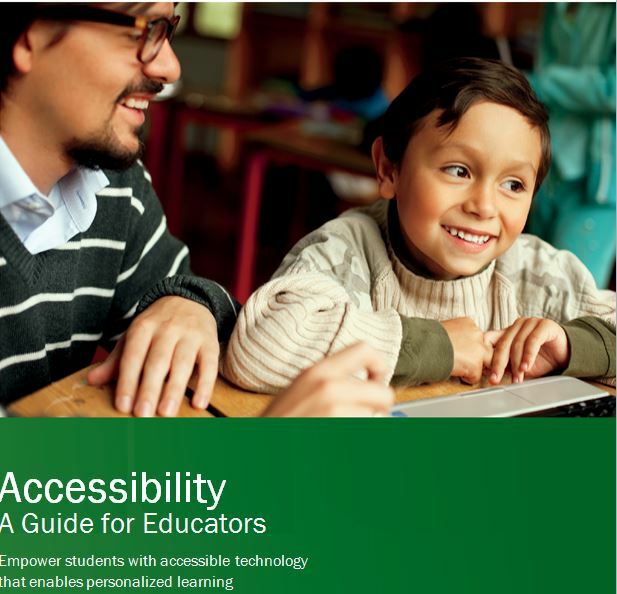 This entry was posted in Accessibility, People and tagged Accessibility in education, Attention Deficit Disorder, Imagine Cup, KIWI, Technology in education, Windows Phone. Bookmark the permalink.